Normal people use the time between New Year’s Eve and going back to work on that dreaded Monday to -– well, come to think of it what do they do? I have absolutely no idea. And what is normal anyway? Again, I got nothing. What I spend my time doing – and have done for most of my life at this time of year – is to go to the movies. For as long as I can remember (Note: And that’s long before anyone, even Louis B. Mayer, got screeners in the mail) I’ve spent the primary part of the post Christmas holiday season catching up with all of the “prestige films” the studios have mostly kept from us. Where were we? Oh yes, the cinema. These days the cinema means lots of things. It could be going out to the mall or your local specialty theatre and paying a bit too much to see a movie that doesn’t quite live up to your expectations. It could also be watching something old you may or may not have seen before on television that you or the majority rule will be fun holiday viewing. If you’re a bit more privileged or connected or facile, it can even be watching a DVD of a current motion picture now playing in theatres at home or at a friend’s house via a screener, day and date VOD, pay cable or, um…some other means (Note: Please do NOT write in and ask what some other means means). I admit to doing all of these in the past five days (Note: Not the some other means, I don’t want to be expelled from show business any more than I already am). Which brings me to about six and a half films just seen in a relatively short period of time. Interestingly enough, there wasn’t a clunker in the bunch. Which doesn’t mean I LOVED them. I liked them all and each did what all good films do – made me think while also entertaining me at the same time. Yet in every case there was something sort of, well, missing. 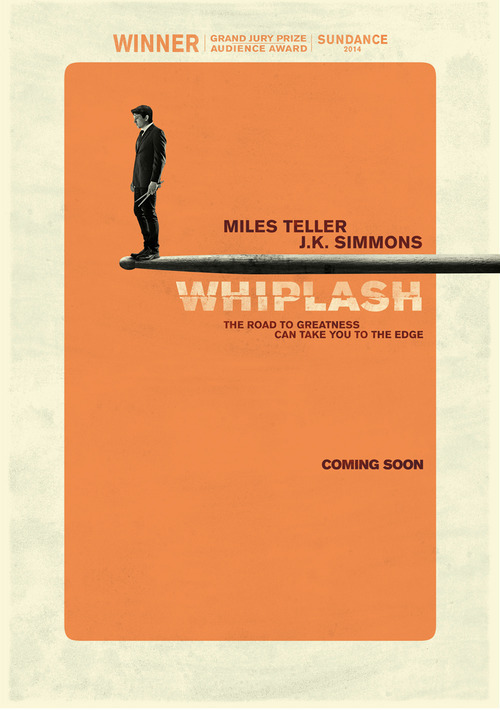 Until today… when I caught up with a small movie that was actually released in October called Whiplash. It’s excellent, disturbing, thought provoking, a little over the top and emotional – though not entirely emotionally satisfying. Frankly, at the end you’re of two minds and are not sure exactly what to think or who to sympathize with. Which is precisely what was missing from the other five and a half films that I merely LIKED though really did enjoy. These are some of the best and brightest the awards season has to offer and will no doubt be crowding around the Oscars along with a few others. Yet none of them has the unpredictably and sheer verve 29 year-old writer-director Damien Chazelle brought to a story we’ve essentially seen many times before – that of teacher who for good or bad pushes that potentially special student beyond the limits of where we (or perhaps they) ever thought they could go. In this case it is in the unlikely scenario of an aspiring drummer and his jazz musician professor, which works because it’s visual. Yet it really could be any one of us up there – if we allowed ourselves – who ever went to school and met that key catalyctic person. Go figure. There is no point telling you any more than that or building up a film beyond the point where it could possibly live up to expectations. The only thing to be said for sure is that J.K. Simmons, the veteran character actor who plays the teacher, will indeed be the one person in the movie who will be winning the Oscar this year. That you can take to the bank because he shares the common denominator of all great performances that rivet you in films – you are never quite sure what he is going to do. He pulls you in, scares you, seduces you and then…well, you’ll see. It’s terrifying, sad, difficult to watch and yet impossible to turn away from in fear that you will miss something you might not want to have seen in the first place. This is to take nothing away from Mr. Chazelle, who manages to capture it all in the most original ways. Taking a cliché genre, any genre, and turning it on its ear without selling out what we love about it to begin with is no easy feat. Yet it can be done. Look at the best films of Martin Scorsese, Ingmar Bergman, Pedro Almodovar and Paul Thomas Anderson – not to mention Alfred Hitchcock and Roman Polanski – and you begin to understand. It takes not only hard work but NERVE, VERVE and the DESIRE to do this in the first place. One fears that writers, directors and studios have begun to lose their taste for such things. Scratch that. Most people working in the movies know that to a certain extent this is true. Yet that doesn’t mean that one still can’t come up with something quite wonderful. 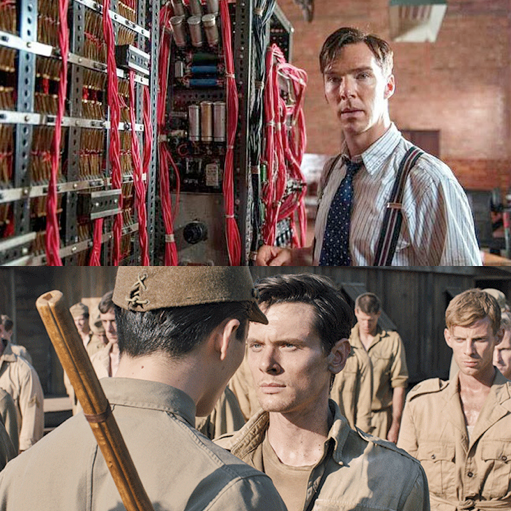 For instance, The Imitation Game is a very engaging, sad and illuminating look at Alan Turing – the brilliant, secretly gay British logician who broke the secret Nazi Enigma code and became the single biggest contributor to the Allies victory in World War II only to commit suicide less than a decade later after his arrest and sentencing for homosexual behavior. As superbly acted, clever and well-made as the film is there is little surprising in it if one knows anything about the story. Even for those totally unfamiliar, it pretty much follows the traditional dramatic route because you know from the beginning that victory is afoot and who will be primarily responsible for it – and even how. Unbroken follows a similar path though not quite as adeptly. Still, it is not without its merits. The unbelievably true story – as its billed – of former U.S. Olympian Louis Zamperini surviving a devastating plane crash and subsequent imprisonment in a Japanese prisoner of war camp during World War II – delivers everything it says it will deliver. Those are summed up in the adjectives you no doubt have seen in large font on most of its ads: SURVIVAL. RESILIENCE. REDEMPTION. It has all of those many times over. In fact, there is not a moment in the entire motion picture where it doesn’t – which is the problem. As reassuring as that can be to any of us as audience members, it is seldom what makes a really GREAT film. Take Wild and American Sniper and substitute any or all of the descriptions above. 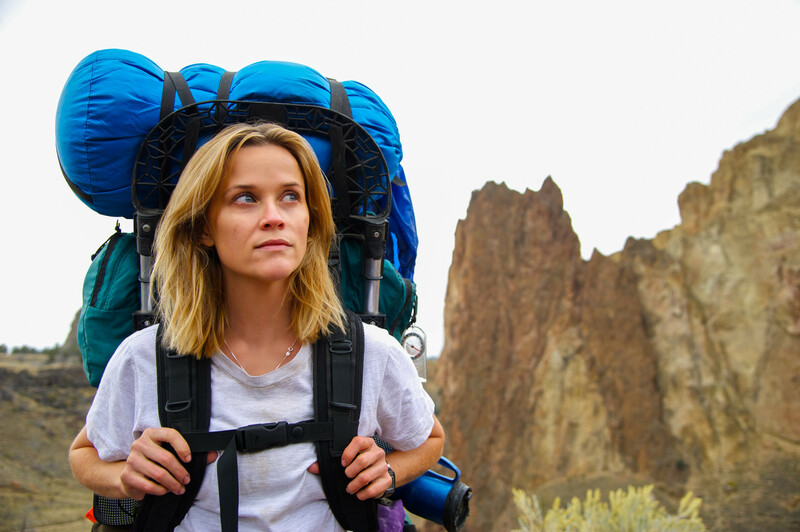 As we roam through the 1100 mile solo hike Cheryl Strayed took through the Pacific Northwest in order to recover from personal trauma or tag along with Chris Kyle on four tours in Iraq where he becomes the most accurate and lethal sniper in US military history, there is excitement and wonderment yet a dulling reassurance of how it will all wind up. Reese Witherspoon and Bradley Cooper expertly pour themselves into each of their roles and give us everything and more than you’d want as their onscreen counterparts. Yet one can’t help but feel deep down that five minutes of any one of their real life adventures were much grittier, exciting and certainly much more morally questionable than any one chunk of time during their entire films. As for Inherent Vice and A Most Violent Year it goes like this. The former is essentially a stoner detective comedy-drama set in 1970s L.A. and is a charming mess that will drive you crazy if you try to follow it as a whole but can certainly be enjoyed in parts and with the help of the chemical aid of one’s choice. The latter deals with working class business moguls making it beyond anyone’s dreams and, well, I only saw one-half because I felt I had already seen it many times before (Note: See earlier Scorsese reference). But again, one could and most assuredly will do worse this year. Annie or Transformers 3, anyone? Which brings us back to Whiplash. Part of the reason we loved the late Heath Ledger in The Dark Knight is we never quite knew what he was going to do or where he was coming from. The best I could figure was total nihilism in order to counter the absolutely useless, insensitive, meaningless materialistic world of today. I’d never seen anyone evil-ing their way through a film for no reason other than every reason – tapping into every bad, justified personal insult each of us has ever dished out or had to endure. 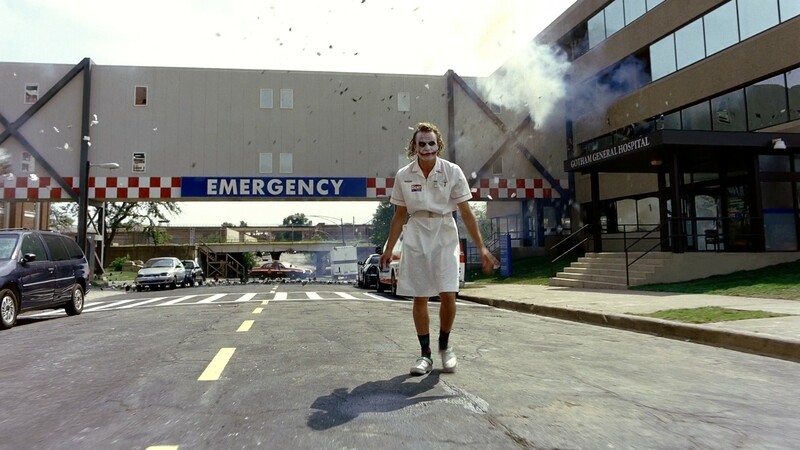 No one had ever done that in a movie before in just that way to such great effect up to that point and the mere discussion of it makes me want to pop in a DVD for that scene where Joker Heath saunters through Gotham City wearing a nurse’s uniform. Movies can simply be great entertainment and that is what’s wonderful. They can also be just polemic enough as they tell the story of a social issue in a satisfying way and that certainly is enough to be memorable. But what we don’t have much of anymore are the films that make you angry, make you think or seem familiar yet will sneakily unearth something awfully important (or importantly awful) at stake in such a way where we do not know at all until the bitter end absolutely what will happen. 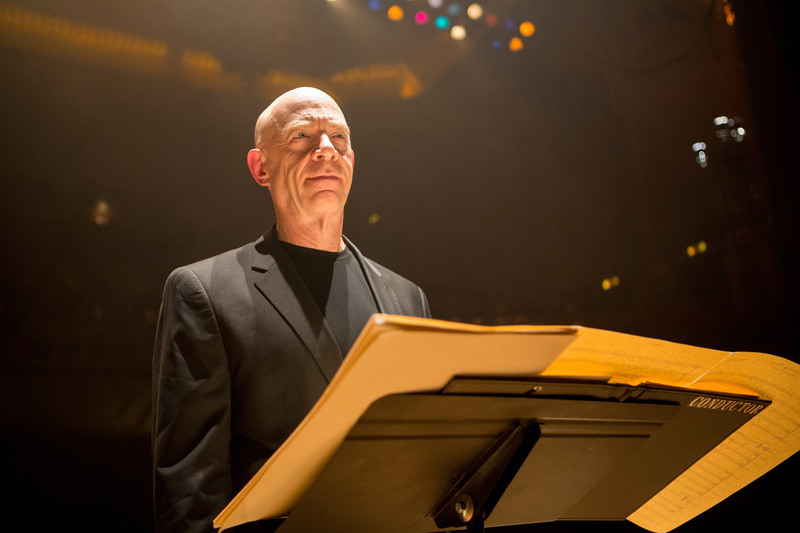 The end of Whiplash confounds certain audiences and critics because it is precisely the correct ending of a film that gets it absolutely right even though you are convinced from time to time that it is absolutely missing the boat. As a screenwriting teacher I talk to my students a lot about heroes and villains. That no one is all good (and if they were you’d hate them) and that every supposed monster believes somewhere deep down they are 100% justified to be doing the things they do. I mean, why do anything bad or good if you can’t on some level enjoy your actions? That includes reveling in your evilness. After all if you’re going to dare to be that bad and do a high wire act of contrariness to the rest of society and its mamby pamby meandering rules you better or might as well enjoy it and feel like its for a reason. 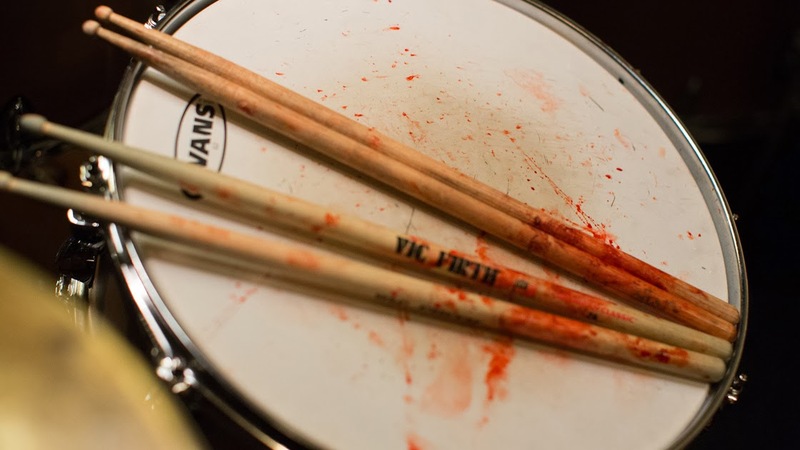 The teacher captures exactly that in Whiplash in a way I’ve never experienced before. Just as the heroic student – played with superb finesse and skill by Miles Teller – shows us that being a great guy all around is a lot more complicated than the teachings in Joseph Campbell’s “The Hero’s Journey” gives one credit for. And don’t get in his way. I am going to try to remember all of that and more as I continue on the script I’m currently writing as well as the next time I stand before a new group of students (Note: That would be next week) talking about what makes a good movie story. 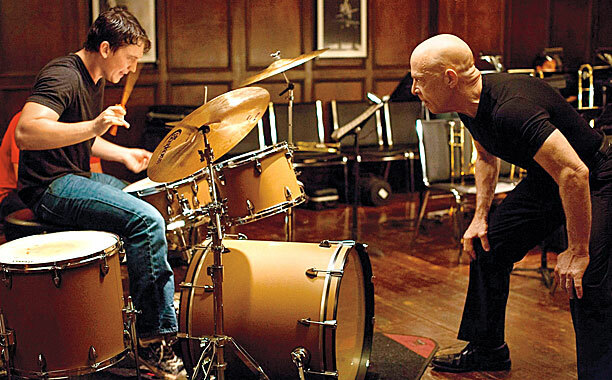 I will also recall and note that the writer-director of Whiplash, Mr. Chazelle, was himself once a young drummer who studied under a mentor of questionable methods and that this movie was inspired by, but not actually based on, real life events. Yeah, you write or make what you know about because when you give it your all and forget about who’s going to watch and why – you have the chance to show it to us in a true and very real way we all have never experienced or even thought of before even if it would seem like we have. At one point in time, that was what movies were all about. And I’m sort of missing it at the start of this new year.